Spread 1 container of dough on a cookie sheet, pressing to seal perforations. Leave as one large rectangle. Mix chicken salad and curry powder well and layer on dough. Top with cheese in a single layer. On separate surface, seal perforations in the other roll of dough to form a similarly-shaped rectangle as the bottom layer of dough. Place on top of the chicken salad mixture. Bake at 350 for 10-15 minutes, until golden brown. Cool slightly and cut into single-serving squares. 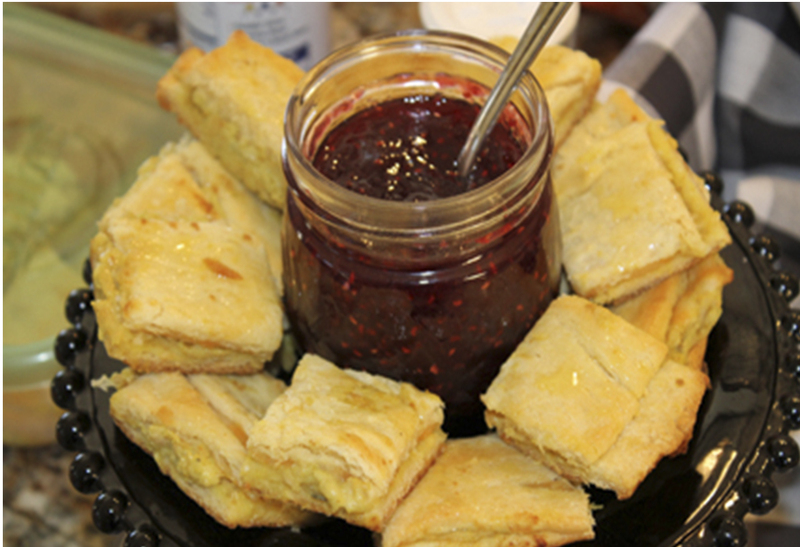 Serve warm, with raspberry jam if desired for a little extra color and flavor.